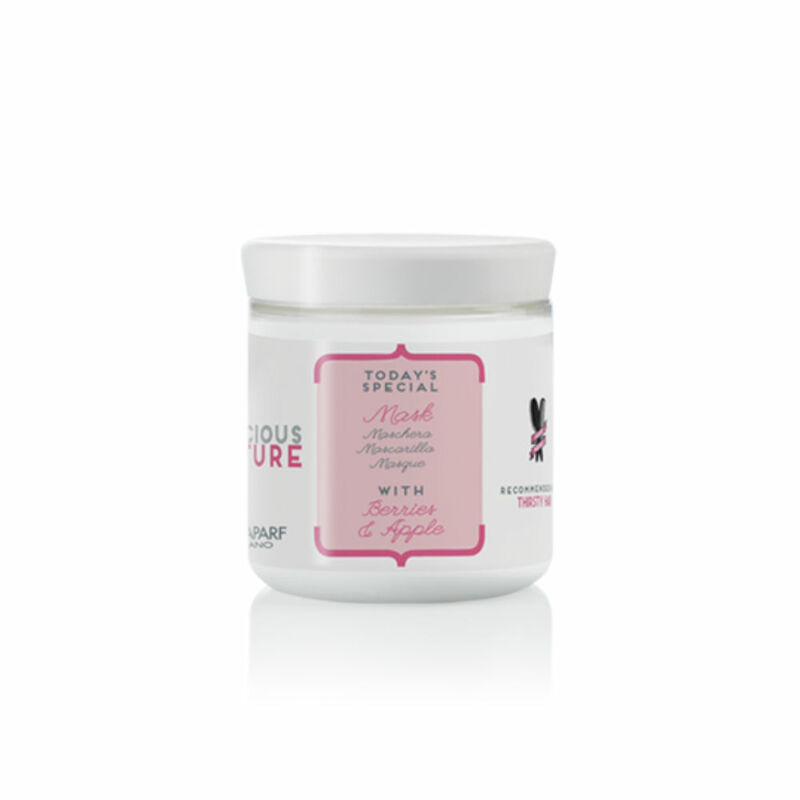 The Berries and Apples Infusion for thirsty hair is a concentration that deeply quenches your hair, leaving it soft and full of vitality. Directions: Mix an Infusion vial with 13 grams of mask and leave on under heat for 5 minutes. Rinse and style as normal.